At a time when relations are still extremely tentative, characterized by insecurities and mutual wariness, it is strong individual personalities who begin to cross bridges – or even realize that bridges exist which one could cross. Ben-Gurion claims, in the face of bitter opposition from many Israelis, that the Germany of today is not the Germany of yesterday. In artistic, economic and eventually political contexts, these individuals overcome great psychological barriers, and with their determination and courage help stabilize and consolidate contacts. They march forward and pave the way – so that German things in Israel and Israeli things in Germany can gradually become almost part of everyday life. In 1951, the journalist and former Wehrmacht soldier Erich Lüth (1902-1989) joins resistance fighter and Social Democrat Rudolf Küstermeier (1903-1977) to found the noted initiative “Peace with Israel”. Lüth travels to Israel as early as 1952 to begin dialog. As a cult object, the Volkswagen Beetle revolutionized the automobile industry – first it was the central project of the National Socialist organization ”Kraft durch Freude“ (“Strength through Joy”), then it became the most common car in post-war Germany and a symbol of the economic miracle. 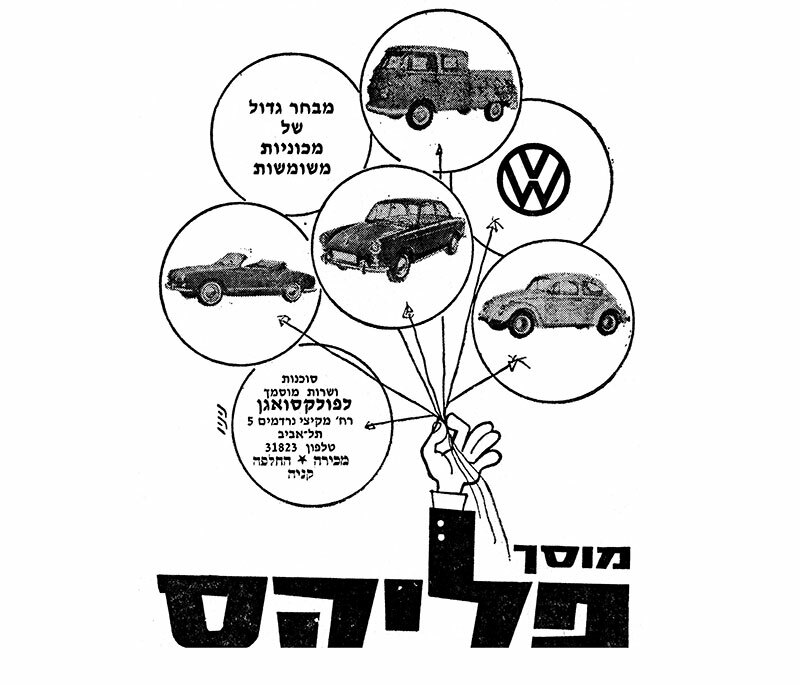 Initially hated ”German-ness“ became, in the form of Volkswagen, increasingly present in daily Israeli life, and ultimately influenced – quite incidentally – the typical Israeli urban landscape. In 1930, Felix Burian and his parents flee from Vienna to Palestine. 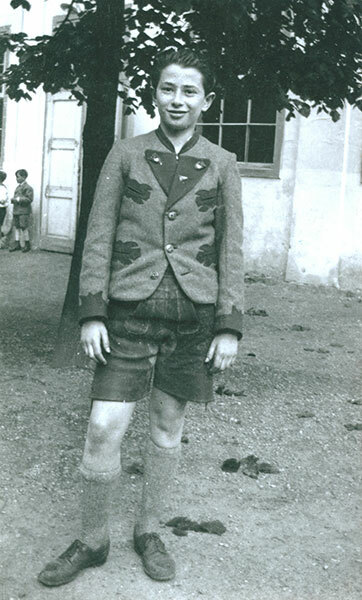 His grandparents in Vienna along with all of his father’s brothers are murdered by the National Socialists. In Palestine, Burian completes an apprenticeship as a car mechanic and opens his first workshop in the center of Tel Aviv in 1946. 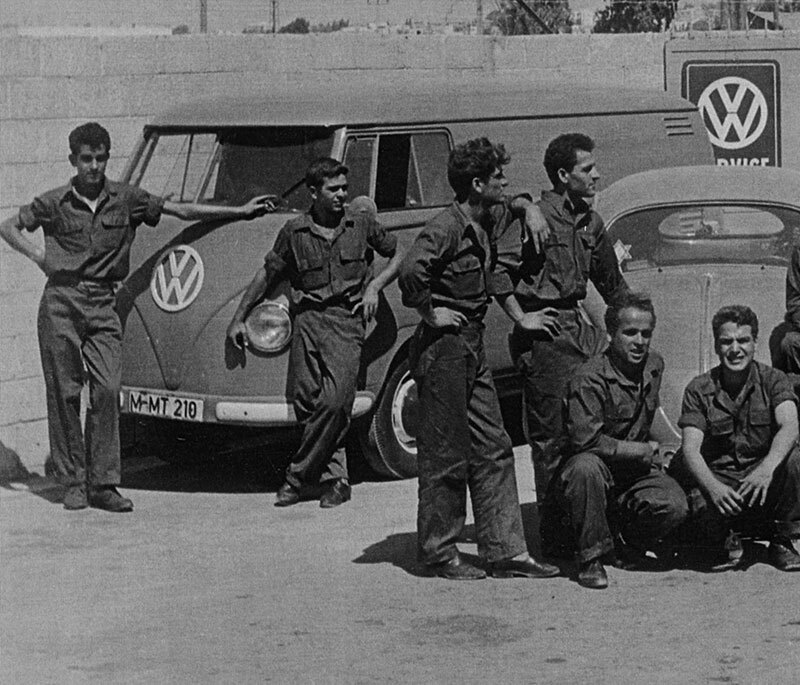 When the border is opened for the free import of cars in 1960, he becomes the first Volkswagen dealer in Israel. 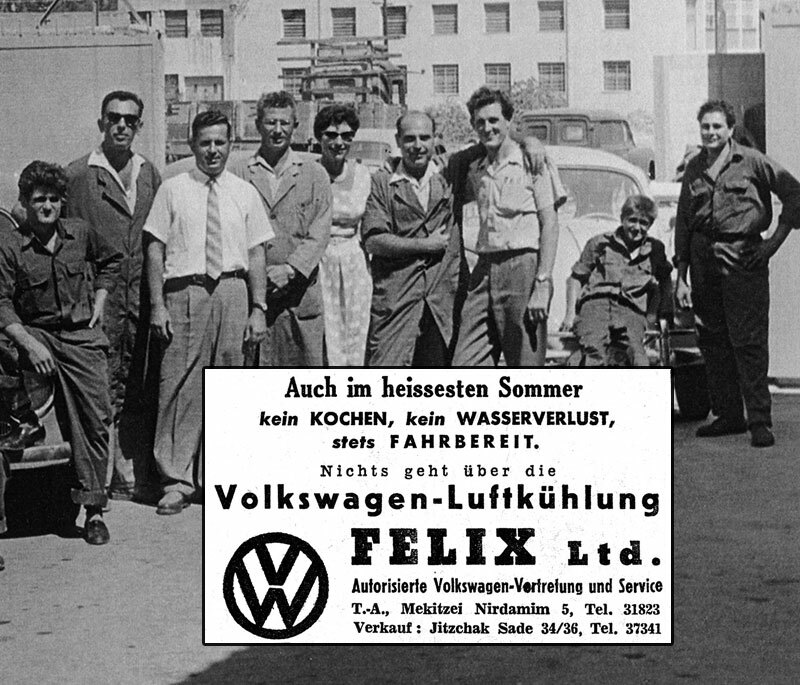 Burian’s workshop and car lot – ”Felix & Co“ – grows to become a major dealership which he runs until 2000. Burian overcomes major barriers in building up his business. His contact to VW staff and German engineers has created friendships lasting until this day.